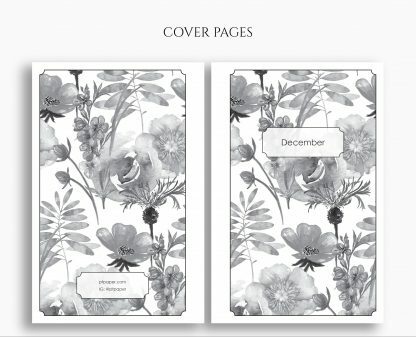 This dated daily planner printable features a beautiful and functional day-on-1-page layout. It includes space for your top 3 to-do’s and notes, daily schedule or time-blocking, along with a place to write daily gratitude and accomplishments. This freebie includes December 2018. This listing is for the DOWNLOAD of printable planner sheets. They can be printed on US letter or A4 size paper. Each sheet includes crop marks. When cropped, the inserts will measure 4.6″ x 7″ in size. Please click here for instructions on how to print these inserts. You will not be shipped a physical product. Upon payment, the files will be available for Instant Download. Once payment processes, a new page with the link to download will be opened automatically. You will also receive an email with a link to download. These are for personal use only. Do not resell or redistribute them, or use them for commercial purposes. There is no refund available for instant download items. If you have a question or concerns, please contact me.